When trying to come up with a mission statement for Over the Rhine, songwriter Linford Dertweiler joked that the band kicked around a few ideas. "We make sad people happy," Detweiler said from stage at The Old Rock House, "and happy people sad." "We skipped the Prozac and went straight for the sad songs," singer Karin Bergquist added, with a laugh. All kidding aside, Over the Rhine is not the saddest band on the planet. Sure, they have their share of serious tunes -- "Latter Days" first comes to mind. But, I'm not sure if this is wrist-slitting music we're talking about here. Actually, it's really hard to describe Over the Rhine's sound, mostly because each album they create is different. 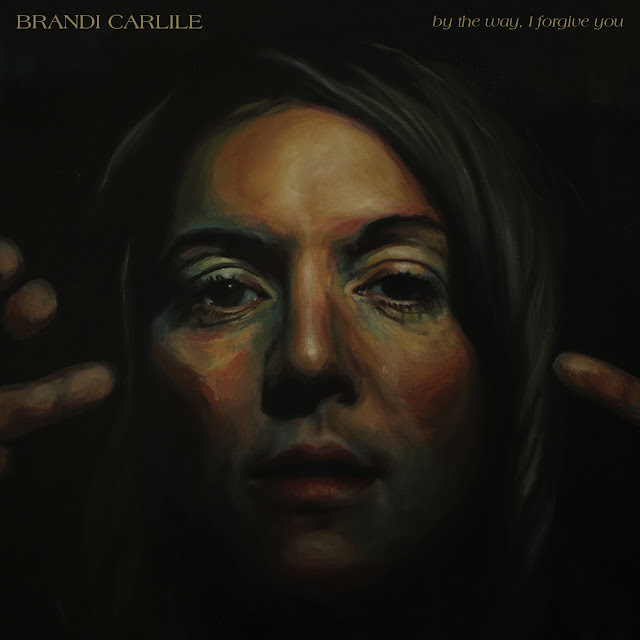 You can thank Detweiler and Bergquist for that; he is an intelligent, versatile songwriter, one who is supremely underrated in my book, she is a singer (and sometimes songwriter) who can sing almost anything and make it sound fabulous. Their latest album, The Long Surrender, shows every side of their twenty-year career as a band: it's deep, it's bluesy, it's folky, it's jazzy, and yes, it's sad in parts. 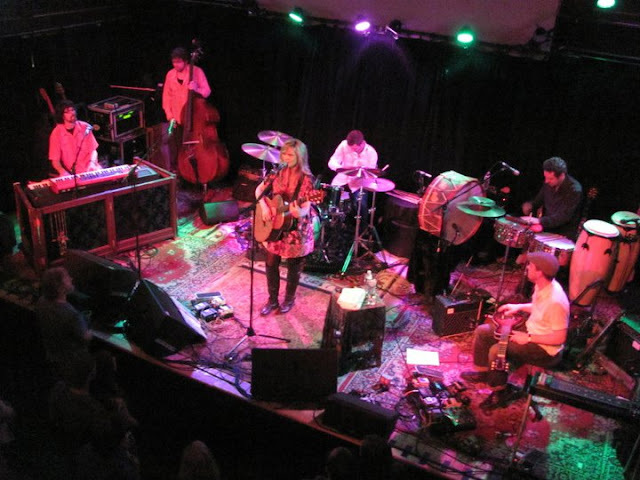 It was the focus of their 90-plus minute performance, which was done as a six-piece for this tour -- a big ensemble for Over the Rhine -- but the songs on The Long Surrender warrant this kind of musicianship and preciseness. The stage was a tight fit, and the energy was present, especially during the first two songs, "The Laugh of Recognition" and "Rave On," the latter featuring an outstanding upright bass solo that rocked the room. They kept delivering doses of The Long Surrender until Bergquist charmed during "I'm On a Roll," a playful tune off 2007's The Trumpet Child that is quickly becoming one of the band's "newer" go-to songs in its live show. With so many albums and songs in their arsenal, they could easily pick a few tunes off Ohio or Good Dog Bad Dog and go through the motions, but what this performance showed me was that Over the Rhine is very much committed to living in their present work, and while that means no "Latter Days" or "All I Need is Everything," the show didn't suffer. Instead, performances like "Oh Yeah By the Way," a beautiful ballad that was written for a friend, and "Only God Can Save Us Now," felt more engaging. During the latter, Bergquist told a lengthy story about her mother, a former nurse who has been living in a nursing home after a devastating stroke, and the other patients in the home. Each has his or her place in "Only God Can Save Us Now," and Bergquist did a good job of explaining the origins and stories of the people she and Detweiler (her husband) have met over the years -- people whose stories are often untold. But that's what Over the Rhine does -- they tell stories with their songs. Some, like the ones on 2005's Drunkard's Prayer, are their own. Others, like "Infamous Love Song," are stories about "the human race," which one fan once told Detweiler. Actually, it's not, but it's also not another cheesy rundown of Jack loved Jill, and they carved their names into a tree. Over the Rhine's stories get your attention because you've never heard them before. There -- I just named their music. It's music you've never heard before. And it's only getting better with time.